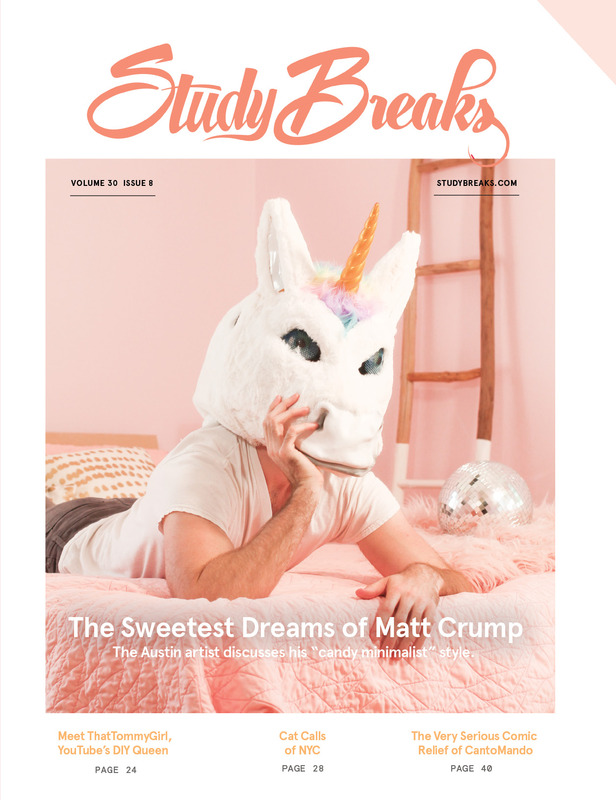 Study Breaks is a magazine and website written, photographed and designed by college students across the country about trending media, emerging artists and millennial culture. The editorial staff pitch and write topics of their choosing, which range in subject from pop culture to creator profiles. All pieces, both rapid response and long-form, are designed to reflect the writing ability and intellect of their authors. For more information on the internship program and how to become a staff writer, editor, content creator or illustrator, click here. The print magazine is available monthly on 21 campuses throughout Texas, but you can view digital archives here. Like the website, the magazine is written, edited and illustrated by the student staff, but it is also photographed entirely by undergraduates. Though based in Texas, the magazine appeals to a nationwide audience. Whether by showcasing their writing, photography, illustration or other creative outlet, the goal of Study Breaks is to empower creative students and tell remarkable stories in the process.